Sheffield’s own multiple world cup downhill champion Steve Peat is helping to organize the cities first official Mini Downhill race, the inaugural Steel City series event. 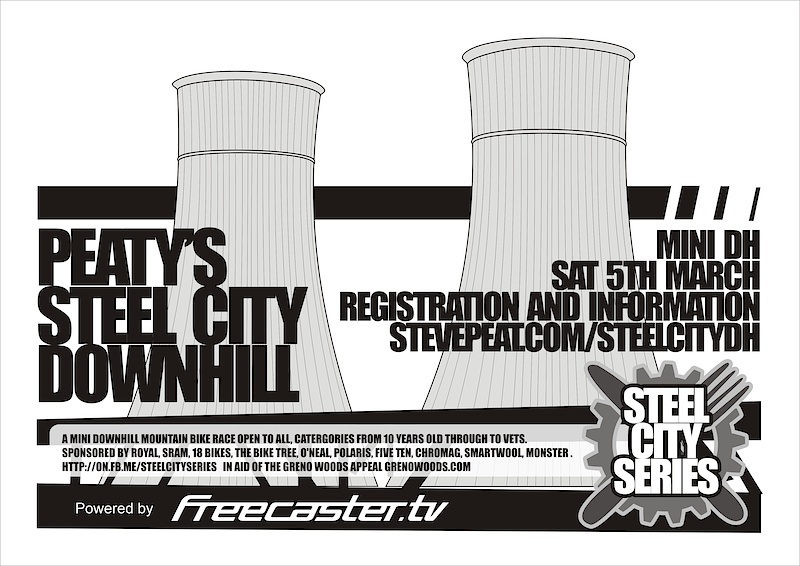 Steve Peat in association with the Wildlife Trust and ThisiSheffield, are proud to present Sheffield’s very own Mini Downhill race, the inaugural Steel City Series event. The Greno Woodland appeal is an on-going fund raising campaign, where the local community is attempting to raise £1 million to buy the forest back, www.grenowoods.com. This would secure the woodlands use and maintenance for years to come, with Mountain Biking being one of the many activities in mind. All profits from the race will go directly to the Wildlife Trusts appeal. It’s been a long time since the last ‘official’ Downhill race in Steel City, the last one was a National in Greno way back in 1995. This time around riders of all ages and abilities will be able to race in the Mini Downhill format. The course caters for riders of all abilities from 10 year old rippers through to seasoned Vets. Various line options are available but at speed it will be a challenge to all. The track length is around 1:30, with a dedicated and easy Fire-Road push up back to the start. It suits mid travel trail bikes rather than full on DH rigs. Whatever your reason is for attending the race, be it for the serious competition or just to have the experience of racing Downhill, we’ll make it fun for all. Riders will get two timed runs with the fastest 3 riders in each category receiving a prize. Spectators will be able to see large stretches of the track, so make sure you bring your friends and family along. Freecaster.tv will be covering the event, producing a full length feature hosted by the inimitable Rob Warner. This will include coverage of the whole track, top ten race runs with commentary, interviews, helmet and cable cameras… and a Course Walk with Rob himself. -Royal, Sram, 18 bikes, Cotic, The Bike Tree, O’Neal, Polaris, Five Ten, Chromag, Smartwool, Monster, Arcteryx and many more. You can check out a GPS map of the track, which has some more info on the drop/length of the course here. A general location map of the event can be found here. You can register for the race here. Along side the race we’re teaming up with SHAFF, Sheffield’s adventure film festival at The Showroom Cinema. On the evening of the race we urge you to follow us into town for an exclusive Alex Rankin film “Progression”. Calling all budding film makers… Freecaster.tv is hosting a contest during the event to uncover new talent! The challenge is to film and produce a one and a half minute edit of the race, to be aired in the Showroom Bar later that day (after Alex Rankin’s “Progression” screening). Videos must be submitted by 8:30pm, and will be judged by a panel including Alex Rankin, Freecaster, Rob Warner and Steve Peat himself. The winner of the Film Contest will get an all expenses paid trip to the Fort William World Cup to join the Freecaster Crew and experience life as a professional cameraman for the weekend! All the best submissions will be featured on the Freecaster.tv website. If you prefer to be behind the lens of a photo camera, there will be photo contest alongside the race which is another chance to make your own mark on the festival. The challenge is to capture a series of 3 images which you think capture the spirit of the event. All submissions must reach us by 8:30pm the same day and will be exhibited in the Showroom Bar for judging. The winner of the photo contest will receive an Arcteryx jacket for those cold days on the hill. 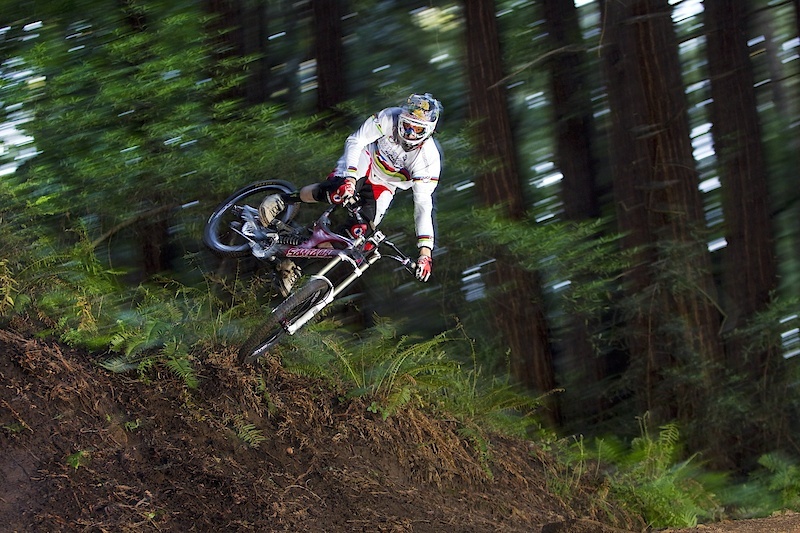 All the best submissions will be featured on Steve Peat’s Website. Peaty's doing loads for the mtb community. Its fantastic that Steve Peat is doing this sort of thing for the local community. And its not really a race is it, Its a bit of fun for everyone. I have spoke to many friends as to what he will do after he retires. Lets face it he wont be riding for ever, but he will be heavily involved in the sport somewhere. unlucky. it pays to have dave as a friend. and yeh, do it. i like how the two cooling towers are on the flyer/image even tho they got blown the f*ck up! sweet. is there any other way of signing on because all the online enteries are allready taken for most of the categorys??? they've probably all gone by now, but my tip for you if you haven't done so already is to add peaty on fb and you'll see things like this before you do on pb. exactly bro.. thanks to my mate being in the know (he signed up before it was even made public lol) i managed to get a placccceeee yessss, sorry im gloating. everything's sold out. Sounds like it's going to be a great event. How awesome is this sport!?!?!?!?!?!? Does anyone know what track they're racing on? ooh booked myself in yesterday, but i don't think my v-10.4 will be here by then.